The order will be huge for the companies involved. 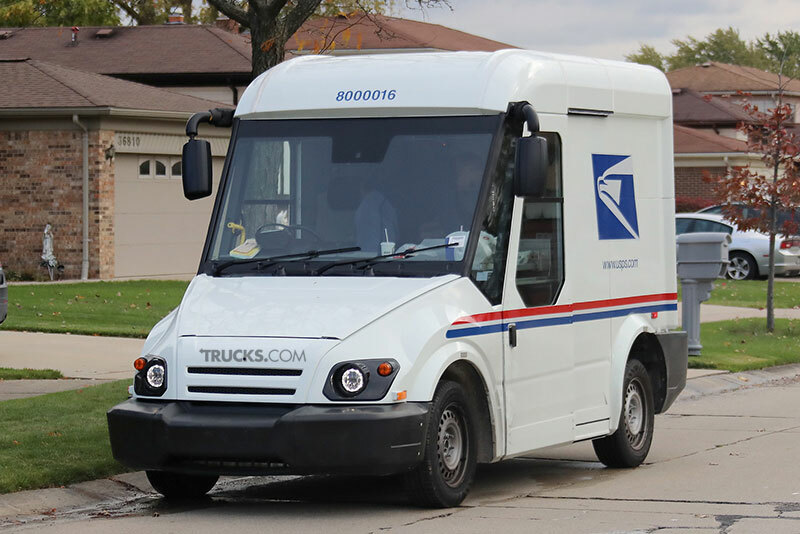 Five contenders are participating in the competition, which the USPS has named the Next Generation Delivery Vehicle, or NGDV, program. They include two team entries: VT Hackney/Workhorse Group and Karsan/Morgan Olson. The three additional companies are AM General, Oshkosh and Mahindra. The postal service said the winner of the vehicle contract will be announced in early 2018. Given the Trump administration’s arguably protectionist rhetoric and preference for U.S. manufacturers, it’s likely the agency might opt for a full American design, said Jeffrey Osborne, a Cowen & Co. automotive analyst. That would favor three of the contenders, AM General, Oshkosh and the Hackney entry, which is an electric vehicle that shares many components with the Workhorse W-15 electric pickup truck. Whatever design the postal service selects, it will open new doors in the transportation industry, especially in the last-mile delivery, he said. The post office plans to rotate the entries through each location every three weeks, Kim Frum, a USPS spokeswoman told Trucks.com. Already, prototypes from AM General, Hackney and Mahindra have been spotted delivering mail in the testing locations. The test locations were chosen to determine how each test vehicle performs in different environments, including weather and landscape as well as urban and rural conditions, Frum said. “This testing will allow the postal service the opportunity to make an informed and educated decision of the future of our fleet based on carrier feedback and observations,” she said. The agency wants the new vehicles to better accommodate an increasingly diverse mail mix, a result of a tidal wave of e-commerce deliveries. USPS consulted with many stakeholders to develop the proposal for the vehicle prototypes, Frum said. “Our suggestions and input were to make the vehicle safer, more ergonomic and more efficient,” said Brian Renfroe, executive vice president of the National Association of Letter Carriers, which has 283,000 members. For example, the new delivery vehicle must have a larger capacity than the Grumman Long Life Vehicle that’s been in use since 1987 to handle the increase in e-commerce packages, Renfroe said. Parcel volume has increased at a double-digit rate annually since 2015, according to the association’s data. The USPS also wants to enhance safety, improve service, reduce emissions and produce operational savings, Frum said. Specifically, the postal service has asked for trucks with a service life of 18 to 20 years, right-hand steering with two-wheel drive. It also wants a four-wheel drive option. It’s looking for a van-style body with integral cargo and cab compartment constructed of aluminum alloy or composite materials; and sliding side doors. It wants a minimum 1,500-pound payload capacity and optional air conditioning. Additionally, new designs must have 330 cubic feet to 400 cubic feet of cargo space and headroom that is a minimum of 76 inches tall, enough standing room for a 6-foot-5 letter carrier. The vehicles must have a driver’s-side airbag. The USPS declined to comment on details about the prototypes. However, the agency has said it is looking for updated safety features, including back-up cameras, warning systems, ergonomic seats and doors and antiskid surfaces. It also said half the prototypes will use hybrid technologies, including alternative-fuel capabilities. AM General is based in South Bend, Ind., and manufactured the civilian Hummer H1, as well as the current military Humvee. It also built the Dispatcher Jeep — the first civilian model of the military Jeep. The DJ was used by the USPS as a delivery vehicle into the early-’90s. A recent prototype of the AM General mail truck was spotted using an internal combustion engine with start-stop technology for improved fuel efficiency. The truck is equipped with digital instrument gauges and a large central display screen. It also has LED headlights and exterior cameras at the front and rear. LED strips inside the cargo space increase visibility. Karsan Otomotive, which is based in Istanbul, Turkey, has designed and built more than 277,000 gas and electric cars as well as specialty automobiles in Europe. In October, the company teamed with Morgan Olson, a Sturgis, Mich.-based manufacturer of walk-in vans that has a longstanding relationship with USPS. In 1986, USPS ordered more than 140,000 delivery bodies for its Long Life Vehicle. 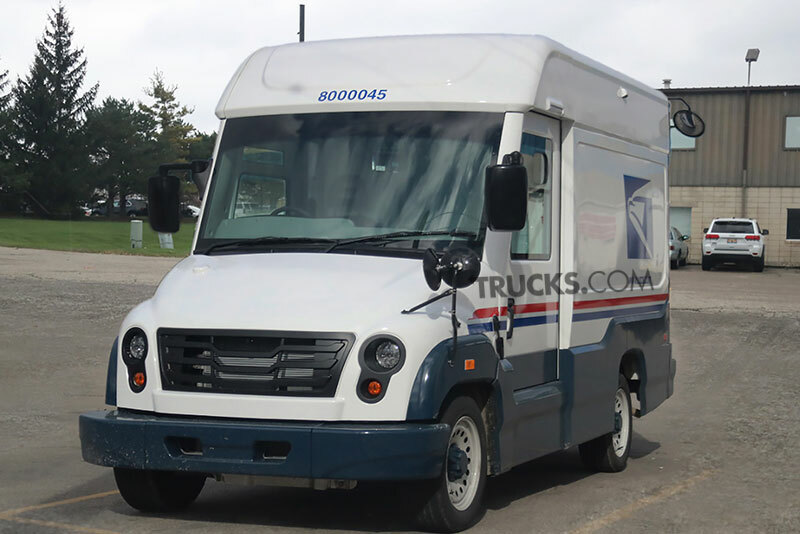 In 2015, USPS ordered 6,533 left-hand-drive walk-in delivery vehicles from the truck maker as part of a contract that expires this month. Morgan Olson also makes walk-in delivery vans for UPS. For the next-generation mail truck, Karsan will provide the hybrid technology and Morgan Olson will manufacture the body. 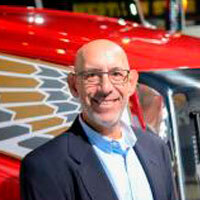 Rich Ansell, vice president of marketing for Mahindra North American Technical Center, confirmed testing is underway. The Mahindra prototype was recently spotted in Flint, Mich. The truck uses a 2.5-liter engine from General Motors and may be available with a mild hybrid powertrain option. Mahindra’s vehicle designs can typically handle rugged conditions. It produces a number of commercial trucks for the Indian market, as well as the Jeeto van and the Bolero Pik-Up. Mahindra also makes electric cargo vans such as the Supro. Oshkosk Corp. is headquartered in Oshkosh, Wis., and manufactures vehicles such as aircraft rescue and fire trucks, snow blowers, plow trucks and tactical vehicles. It also makes related equipment. Oshkosh has a long history of contracts with the federal government. Since 2009, its defense arm has delivered more than 35,700 medium tactical trucks and trailers to the U.S. Army, which just extended its contract through 2019 and awarded the company an additional order worth $260.1 million. In this joint venture, Loveland, Ohio-based Workhorse built the chassis and VT Hackney made the body. The Workhorse chassis is already being used by FedEx Ground, USPS and DHL. Workhorse has a relationship with fleet management company Ryder System Inc., which placed an order for 2,500 of its W-15 electric pickup trucks. UPS also ordered more than 300 of its Range-Extended E-Gen Model step trucks. The company claims its E-Gen series offers a 400 percent improvement in fuel efficiency, requires 60 percent less maintenance and saves more than $140,000 over a 20-year life. VT Hackney, is a manufacturer of specialized truck bodies and is based in Washington, N.C. The Workhorse-VT Hackney all-electric prototype was seen delivering mail in Leesburg, Va. It has a small BMW gasoline engine that acts as a generator to extend the range of the truck. It has an attention-grabbing profile featuring a low-slung aerodynamic hood, oversized windows and an upright stance for the cargo box. Postmaster General Megan Brennan told the House Committee on Oversight and Government Reform in a hearing on Feb. 7 that the agency may use a “bridge strategy” as it has in the past, which means incrementally replacing up to 12,000 vehicles at a time. As the agency looks for its next truck, it’s already thinking ahead. 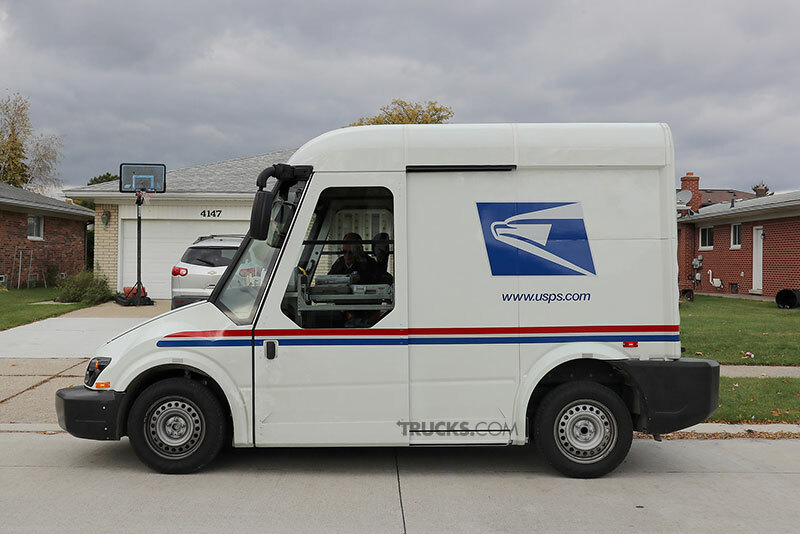 The USPS is also working with the University of Michigan on an autonomous mail delivery truck, which it hopes to introduce to select rural routes across the country by 2025. In one possible scenario, a worker could sit behind the wheel sorting mail and doing other tasks as the truck automatically drives the route. An earlier edition of this story named REV Group as the partner of Karsan. In October, Karsan signed a memorandum of understanding naming Morgan Olson as it’s partner. It also listed the date of an U.S. Postal Service truck order with Morgan Olson as 1966. It was 1986. REV group is not involved. A lot of money for a company that did’nt have a few years a go. VT Hackney is based in Washington, NC, not Washington, DC. Thank you for spotting that typo! It sounds like they are trying to get some better vehicles for letter carriers than the LLV. I was a letter carrier when the LLV’s first came out and they were a nightmare on snow & ice. The 4-wheel drive feature should help that. Also, air conditioning would help in the summer. The LLV’s have no AC. In 1966, USPS ordered more than 140,000 delivery bodies for its Long Life Vehicle. That should be 1986 instead of 1966. Thank you. Noted and correction posted in article. Lumbar support would be beneficial too. I’m A letter carrier Its to small no room for parcel . i have a dismount route for the last 19 years. i drive an LLV and there are many days i can barely fit all the mail and parcels in the cargo area. These vehicles look smaller than the LLV and i think that at the rate the parcel volume is increasing this truck will be too small. for the love of god we are paid by hour,does it have a.c. or not? Trucks.com peaks inside the cab indicate they do have air conditioning. Covered a lot of ground here, Mr. Hirsch, and did well in the act. As an active trader in some of these companies I serach high and low for this sort of fresh news. Thanks. One small correction: Workhorse has not received any orders for the W-15. They have found several key customers who were willing to sign non-binding Letters of Intent. These LoI’s have no consideration (e.g., deposit) or obligation to buy. I can understand why you posted this as “orders” because that’s what the Workhorse CEO wants us to think as justification to sell shares in the business, and they never correct news sources when the business case is described optimistically. Apologies to the author Mr Guillot for not naming him above. One final thing (sorry): VT Hackney was identified by Jeff Osborne of Cowen as one of the “US” contenders. Actually, VT Hackney is wholly-owned by Singapore Technologies. Also, odd, though it may seen, the Hackney and Workhorse team might just have more dollar content built outside the US than all the others. With a BMW engine and generator, Panasonic battery cells from Japan, and perhaps a TM4 motor package bult in Canada, the high-value items will not be Born in the USA. @ CD – How many “American” cars would this not also potentially be true of? Mail Carrier in Delaware… It would be nice if they would really take the time and ask the carriers what would be something that would make the job go faster and smoother on the street… Today would have been wonderful to have 4X4 or all wheel drive… we take more time getting unstuck and having chains, tires changed.. I could have done more deliveries if the chains did pop off .. oh and heaters that have vents to keep our feet from freezing …once my feet get cool .. it slows you down..
Am General will offer exactly (AWD) that and many more different drivetrains to accommodate every corner of America. The possibility of a drone delivery option off the van’s roof is worth considering for rural carriers. Interesting also to consider which of these companies are publicly owned and which are privately held. Is the contest for supplying the USPS NGDV a “winner-take-all” solicitation? Or, is it possible that more than one supplier will win a portion of the contest? It seems to me that a 20+ year delivery vehicle platform that is to be wholly reliant on either hydrocarbon or electric fuel is too restrictive. If they are anticipating a bridging procurement strategy and are, potentially, buying only 12,000 vehicles at a time, then I hope that USPS can leverage the future and spread the award amongst more than a single vehicle supplier/drivetrain. At the end of the day, electric vehicles are making quantum leaps in many areas – with advances ranging from autonomous operation to improved batteries/cathodes to ultra-fast charging technology. With respect to the latter, USPS could build a low cost, distributed, ultra-fast EV charging station network along delivery routes across the country and accrue revenue from its shared public use as EV adoption ramps-up. “If you build it, they will come.” The Postal Service is chartered by the US Constitution. Why not leverage that monopoly and orient it toward the future via energy efficiency, cost savings and new, innovative revenue streams that all flow toward profitability? Who designed the looks of these? I cannot believe they are even uglier than 31 year old LLV’s. Can they not just copy the looks of a cool Ford Transit and make it battery electric. How about you put AC systems in them so more postal worker don’t die in them like the poor lady in California? Don’t give the “money” excuse. The postal service makes plenty of money, I know. Workhorse is not a dependable vehicle or company,commercial workhorses owners were left unable to get their vehicles serviced ,unable to get parts.rv sales stopped servicing them international dropped them. Numerous problems from the start with no support. Inferior parts and workmanship,they no longer make what they built in the past what does that tell you? To small to deliver packages , you will have to constantly be taking packages in and out to get what you need. Whatever they decide, it needs to be much bigger than the current LLV. I ship a lot of packages from my home and very often my USPS carrier has to drop off my incoming packages and then go deliver a bunch of other packages and then come back later in the day and pick up my outgoing packages because there just isn’t enough room in the current LLV. What does a water utility need to do so we can get a few of these? From what I always understood, the postal vehicles are only a USPS contract. Would be extremely useful in terms of meter reading for most cities and private water utilities.